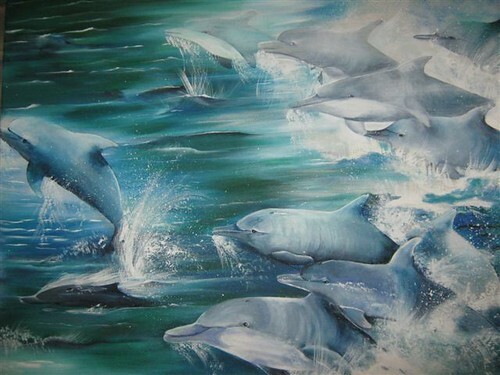 Another fantastic painting Carol, I can almost feel the salt spray from the Dolphins as they dive back into the water. Have you organised any work shops this year? if so please advise where & when. Very lovely painting Carol.So pleased you have managed some time for your painting again. Just got onto your website,love your work,yes those cheeky dolphinsare slicing through the water wish i was there .Thanks for your awesome gift to share with us . Thank you for the sensible critique on http://www.carolswan.net . Me & my neighbor were just preparing to do some research about this. We got a grab a book from our local library but I think I learned more from this post. I am very glad to see such great information being shared freely out there. hello there and thank you for your info – I’ve certainly picked up something new from right here. I did however expertise several technical issues using this website, as I experienced to reload the website lots of times previous to I could get it to load properly. I had been wondering if your web hosting is OK? Not that I am complaining, but slow loading instances times will sometimes affect your placement in google and can damage your high-quality score if ads and marketing with Adwords. Anyway I’m adding this RSS to my e-mail and can look out for much more of your respective exciting content. Ensure that you update this again very soon.. Very nice painting. The color selection is very nice. Gives soft and real look.